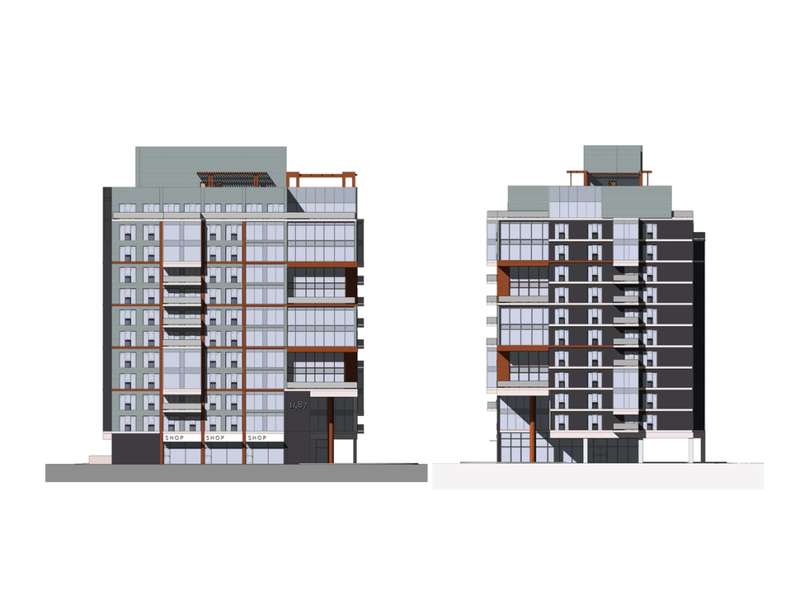 A design study for a 12-storey apartment building located on a corner site on Hamilton’s Main Street, near McMaster University. 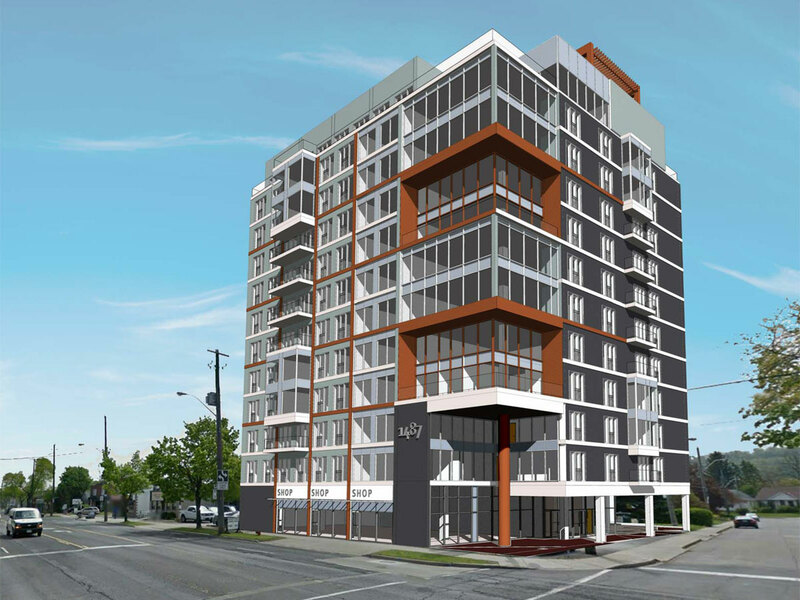 The project aims to enhance the character of the street, which is dominated by low-rise commercial uses, by offering street-facing storefronts with 11 storeys of residential units and amenity spaces above. The simple form is enhanced through strategic accentuation and focusing attention on the building’s relationship to the intersection.